Want to start your own California business? Don't know where to begin? Start here. -market your business effectively, online and off. 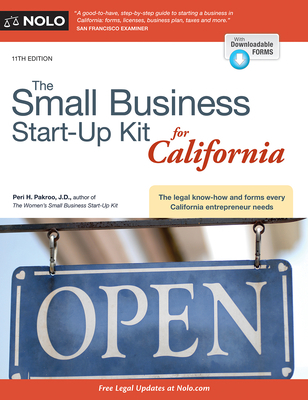 The 11th edition is completely updated, with the latest federal and state legal and tax rules affecting California small businesses, and use of social media to promote your brand and drive website traffic.